I am delighted and very proud that my homeland, the UAE, has been recognised by the World Economic Forum (WEF) as the third safest country out of 141 countries included in a study based largely on the cost of crime and violence as well as terrorism, and the extent to which police services can be relied upon to provide protection from crime. I have always had great admiration for our technologically advanced, progressive police force that balances effective policing with respect when interacting with nationals and expatriates. In July, Dubai Police was the recipient of the Best HR Strategy Overseas award presented at the HR Excellence award ceremony in London – just one out of a long list of international accolades. Ours is a country of laws that cover public behaviour in line with our cultural values. Everyone is encouraged to enjoy life and have fun, provided others are not offended. There are stiff penalties for drug dealers and users, which apply to everyone regardless of nationality – and these have sometimes been criticised by the foreign media. We make no apology. The “right and wrong” guidelines and penalties have contributed to a level of safety envied by other countries. The fact that the UAE is safe is not news for those of us privileged to live in what has emerged in little more than half a century as a model for the Arab world in so many respects. Nevertheless it is satisfying to have achieved global recognition, particularly as we are in a region fraught with violence and unrest. Amazingly, the UAE’s ranking is substantially higher than all European countries except Finland. For me, the surprise was that the United Kingdom, which has always been perceived as safe overall, was ranked 63rd and the United States came 73rd. The recently released WEF report states that the UAE “has built a unique environment to attract both business and leisure travellers. From Expo 2020 Dubai to the construction of the Louvre and the Guggenheim, the UAE is investing in and giving significant importance to the development of the travel and tourism industry”. It also cites the country’s “world renowned air transport infrastructure” and its position “as a gateway for Europeans to Africa, the Middle East and Asia”. The Emirates is also way up high on other global indices. It ranks 12th in the 2016 Global Innovation Index and, more importantly, according to the World Happiness Report 2015, it is the 28th happiest country out of 157. There are few places on Earth where one can walk around at any time of the day or night without fear of being attacked or without having to worry about being robbed at an ATM. The UAE has always been such a place in my memory. Tolerance and openness are among this multicultural country’s core values. The UAE is home to more than 200 nationalities, each contributing to its unique flavour. Sectarianism is alien to the UAE. People work and socialise together without barriers of race, religion or colour. A survey conducted by The National found that 90 per cent of those polled said “meeting people from different cultures has been beneficial to their view of the world”. In this spirit, Sheikh Mohammed bin Rashid, Vice President and Ruler of Dubai, launched a global tolerance initiative to award those promoting tolerance and to inspire tolerance in young Arabs. I have always told everyone ready to listen that the UAE is a land of safety, opportunity and tolerance. My descriptions sound too good to be true. But they are true, and kudos has to go to the UAE’s fathers Sheikh Zayed and Sheikh Rashid, who laid the foundations for a vibrant, prosperous and open society. 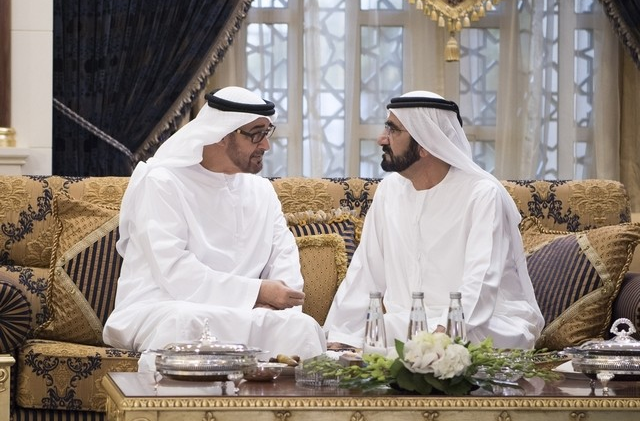 My congratulations to the President, Sheikh Khalifa; Sheikh Mohammed bin Rashid; Sheikh Mohammed bin Zayed, Crown Prince of Abu Dhabi and Deputy Supreme Commander of the Armed Forces; and the rulers of the other emirates for building on those foundations, accepting nothing less than excellence and always striving to make our country the best possible. They are very different from other leaders who prioritise the interests of their family members and cronies above all. In their eyes, the people are their family and its residents and visitors are honoured guests. They look at others as partners on the road to success, sharing the responsibility to secure our soil and borders. I would remind my countrymen and women that our leadership is exceptional; they should be proud and appreciative that this wonderful country was capable of emerging from arid sands and out of the unknown to etch a prominent place in the world. Our goal has always been to live in security and work for success from dawn to dusk. My greatest wish is that our Arab brethren choose a similar course. We did it against all odds and with the right thinking – and with our help and advice – they can too.